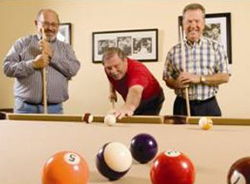 An independent senior living community is supposed to be fun and active. Vienna Square is one of a few exclusive Florida retirement communities that is focused on our residents and their active adult lifestyles. 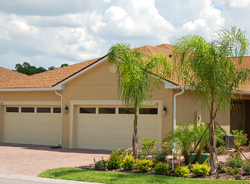 We offer site built homes and maintenance free villas, a community clubhouse and more for your enjoyment. You will get to enjoy all of the amenities and events when you live in Vienna Square. Independent senior living provides for many outdoor activities with an outdoor swimming pool and spa, biking and hiking trails and more. We offer movie nights, game nights and tournaments. We host clubs, groups and luncheons, parties and karaoke. We even celebrate holidays with parades and more. 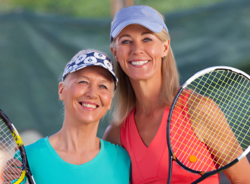 You have the option of joining in all these events or spending a peaceful night in the comfort of your own home or maintenance free villa at this best of Florida retirement communities. Vienna Square is located in Winter Haven. We are a relaxed independent senior living community with access to many affordable services such as shopping, medical facilities and more. We are centrally located in Florida with quick and easy access to the expressway systems that take you to Disney World, Universal Studios, Busch Gardens, Bok Tower and many other world famous attractions. You are also close to our great Florida beaches on either coast and are able to attend major sporting events, symphonies, concerts and plays. You are also close to some of the best golf courses in Florida. Our Secure Care Pledge gives you the comfort of knowing you will be taken care of when you need us most. As you age, your personal care becomes more important. You need to feel that you live in an area that is safe and secure. You need to have doctors and hospitals close by in case of an emergency. Sometimes you will need ongoing care if you become sick or injured. We have special services while you recover. We provide Assisted Living, Skilled Nursing, Memory Care and Short-Term Health and Rehabilitation is all a part of the most comprehensive commitments by any independent senior living community anywhere, not just in the state of Florida. We will provide an unprecedented range of services to our residents so your worries are minimized. Contact us today to learn more about our community and the many great benefits it has to offer. 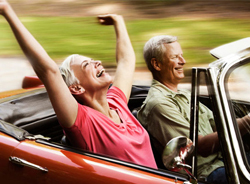 Our friendly and professional staff is eager to assist you and provide you with the necessary information you need to make the best choice about your retirement plans. We are here to answer your questions and address any concerns you may have. Also, ask about our Great Escape program. It is time to enjoy independent senior living as it is meant to be enjoyed.